On 26 March 2013 the High Court handed down judgement in FAGE UK Limited v Chobani UK Limited which proved to be a classic passing-off case, only this time the subject was yoghurt. Establish that there exists goodwill or reputation connected to goods or services offered and which is also in the mind of the purchasing public. Demonstrate that a misrepresentation has been made to the public which has led or is likely to lead to the conclusion that other goods or services are the same as those offered by the plaintiff. Suffer or be likely to suffer damage by reason of the erroneous belief of the public. The question before the High Court was whether the phrase ‘Greek yoghurt’ carried sufficient reputation and goodwill as a distinctive yoghurt made in Greece to warrant protection. Whilst the production of yoghurt can be traced back some 15,000 years, FAGE was undoubtedly assisted by the fact that all yoghurt sold in the UK during the last 25 years labelled ‘Greek yoghurt’ was strained yoghurt made in Greece. 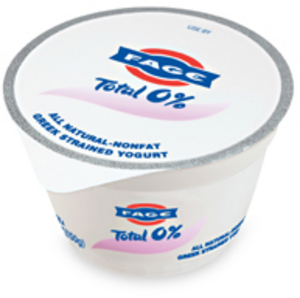 FAGE UK Limited may be more familiar to most as the yoghurt brand ‘Total’ which uses the description ‘Greek yoghurt’ and has been sold in the UK since the mid-1980s. It presently represents 95% by value of yoghurt sold in the UK as Greek. Chobani UK Limited is a more recent US contender in the UK's ‘Greek yoghurt’ market which it entered towards the end of 2012. It was almost immediately subject to an interim injunction to desist from selling yoghurt under this description obtained by FAGE. It took a seven day trial during which, according to Mr Justice Briggs, the "parties deployed very substantial forensic effort and ingenuity in seeking to persuade the court to their rival views about the meaning and significance (if any) of … Greek yoghurt.” Mr Justice Briggs was clearly less impressed with Chobani’s witnesses, which on occasion he found resorted to “deliberate untruth”, and more inclined to favour those called on behalf of FAGE. In the end FAGE won. ‘Greek yoghurt’ means creamy yoghurt made in Greece, the pretence that similarly labelled US yoghurt is the same is wrong and causes damage to the genuine article. FAGE secured a permanent injunction preventing Chobani from marketing its yoghurt in the UK as ‘Greek yoghurt’. It can, however use the descriptor ‘Greek style yoghurt’ which in the UK is predominantly made by means of thickening agents and not any natural straining process. What proportion of the discerning British public will register the distinction remains open to question, but the High Court clearly believed there was a distinction to be made and presumably Chobani too for having fought the case, not wishing to compete with lower value artificially thickened products. The full judgement is worth a read if only for those interested in a good summary of the history of Greek yoghurt. It also illustrates very well how hard it is to win a passing-off action and the hurdles faced in doing so.